Public transport operator GS Buss places order with ABB to electrify one of the city’s busiest bus lines. Deploying electric buses requires new charging infrastructure. The buses on line 60 will be charged by 300kW High Power chargers from ABB, a modular solution based on OppCharge, an open interface for direct current (DC) electric bus charging, which offers high-power charging via an automated rooftop connection. ”A stable charging infrastructure is crucial for our timetable, with the bus service running every fourth minute in the rush hour. 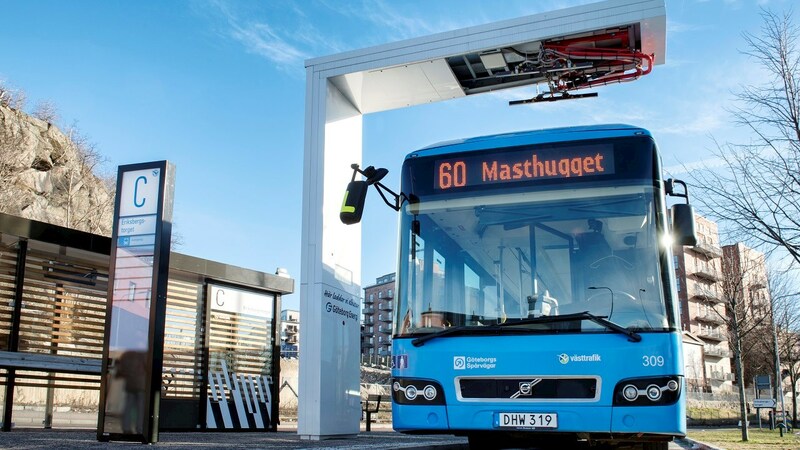 By fast charging at the endpoints, we ensure traffic continues to flow and at the same time provide our passengers and drivers with a better environment with less noise and improved air quality,” said Dan Paulström, Business line Manager for GS Buss. With its innovative ABB Ability™ offering of digital solutions and services across all business areas, ABB is a leader in digital industries. Forming part of the ABB Ability™ portfolio of digital solutions, the high-power chargers also allow for better visibility and control of infrastructure networks, minimizing downtime and increasing efficiency. ABB Ability™ delivers web-enabled connectivity that allows network operators to perform several functions, including the remote monitoring and configuration of charge points. ABB entered the EV-charging market back in 2010 and has sold 10,500 ABB DC fast chargers across 73 countries, more fast chargers than any other manufacturer. On this basis of experience, ABB has created a robust system for high-power charging of heavy vehicles with many advantages. ABB’s chargers are used in production and control facilities for electric vehicles all over the world, including extreme environments such as the Arctic Circle and in desert climates. Many chargers are used for intensive testing 24 hours on day, 360 days a year, by automotive manufacturers such as BMW, Volkswagen and Volvo Bus. Fortune Magazine recently ranked ABB #8 on its list of companies that are “changing the world” for the advances it has made in e-mobility and electric vehicle charging.